People are asking why there was no national call to Ferguson Weekend of Resistance by our UU leaders. Post by St. Louis Standing on the Side of Love. Rev. Peter Morales issued a statement directed to the St. Louis UU's supporting their actions in the Ferguson struggle. That video came on the eve of the weekend. Rev. Terasa Cooley (the Program and Strategy Officer) represented the UUA's leadership and was arrested in Ferguson on Sunday, October 12th. The reports are that about 60 UU's were present for the weekend. However, there was no timely national call for UU's to come to Ferguson for the weekend of October 10-12th. Rev. Krista Taves reports that local STL UU ministers had hoped for, and had asked for, such a call, but one did not come. Explicit and early calls were made by UUA leadership to both February's Moral Movement March in Raleigh and the recent People's Climate March in New York City. In each case, the number of UU's participating was around 1200-1500. I am sure that the numbers for the Selma Anniversary in March of 2015 will be even greater. That call has already been made. But we are behind the curve of history right now. And we need to catch up. The killing of people of color by the police has historically been a local issue, protested by the local community. But 2014, especially in the case of Trayvon Martin and Michael Brown, saw those killings emerge as a national issue, inspiring a national movement. Certainly, social media has played a huge role in nationalizing the issue. Not only is this a new national movement, it is being led by a new generation of leaders from the local community. Again, social media disrupts the traditional coalition building and decision making that was typical of earlier eras. The channels of communication and the circles of trust are different. Are UU's organized for a different era? The focus on whether there was an official call from 24 Farnsworth seems really old school organizing: local ministers observe the situation, send up a request to the Central HQ, which then issues the official call through the official channels, in this case, the UUA webpage and the Standing on the Side of Love Campaign email list. Information flows up; calls to action flow down. Like an army or a corporation. Meanwhile, we are all on Facebook and Twitter. And the HQ is understaffed and overcommitted and underfunded. We need to think more like a network than a hierarchical organization. 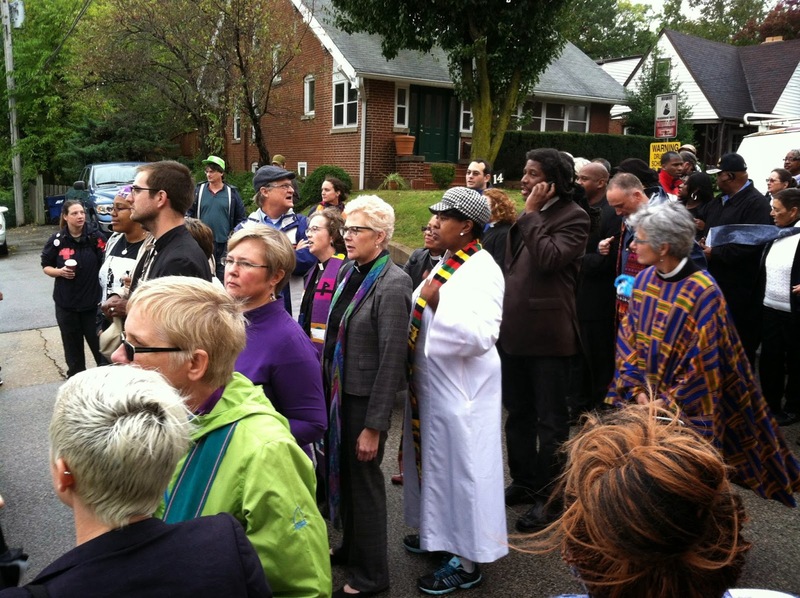 There are 59 UU congregations within 250 miles of Ferguson, Missouri. Ministers and congregations could have sought out direct connections with our St. Louis area ministers. More UU's could have decided to go to Ferguson without waiting for a call from Boston. Number one: we have not yet seemed to really grasp that there is a national movement against police killings, and that movement is still being formed and organized by a new generation of leaders. Number two: UU's depend on a centralized organizational structure than we would like to think we do. We are cautious. Despite our self-image as being a faith bravely involved in movements for social justice, we feel more comfortable knowing that there are going to be a lot of other yellow tee-shirts with us when we hit the streets. I think that this is a carry-over from the long decades when being a liberal, an activist, a protestor felt somewhat dangerous in what we were told was a conservative society. We emotionally live somewhere between the election of Ronald Reagan and the re-election of George W. Bush. In reality, we live in the society which changed its mind on marriage equality in the last 10 years. The tragedy is that each of those 59 congregations within 250 miles of Ferguson had some people who wanted to go Ferguson, but didn't hear the invitation, or feel encouraged by their local congregational leaders and minister. And even more tragic, in each of those 59 communities and cities, there were many more people who wanted to go to Ferguson, but were not connected with anyone, any group, who could help them make that happen. We need to get to the next stage. We don't need to count how many UU's turn out for events like Ferguson, or Raleigh, or New York, or Arizona. We need to start to count how many non-UU's we bring with us. Personal Disclosure: My spouse and I were on a long scheduled vacation, which precluded my going to Ferguson myself. Thank you for this piece. As a relatively new UU, still learning the ropes of the organization, I didn't know people were waiting for a call from the UUA. It would seem that UUs are people who don't have to receive a blessing from someone else to act on their own convictions. Sometimes I feel like I live in a mixed world where there is much work to do and I see it through my social media feed and yet that's not how I feel it at my church. I agree that there is a tendency towards caution and not upsetting the status quo. I like what you said at the end about churches needing to be better coordinated to help each other. I'm wondering about the role of the Region in these situations. Karen, I think that the idea that "UU's are people who don't have to receive a blessing from someone else to act..." is something that we would like to think about ourselves. 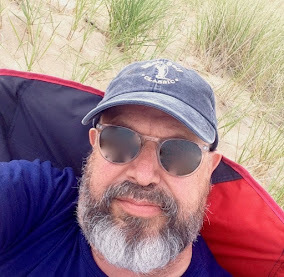 But I think that most of us, especially as the center of gravity in many of our congregations ages, are more cautious and afraid of embarrassment and being caught wrong-footed than we need to be. It's a little heartbreaking to realize that UU's are not as heroic as we like to think we are, but after the heartbreak comes a more realistic appreciation of who we are and what we aspire to. I agree with Karen that we can act on our own and with Tom that we are cautious. Still, I think what we really needed here was timely information. Had I known even a week in advance that UU's were joining together in in Ferguson, I could have arranged to be there and I'm some from my congregation would have joined me. Timely information from our Association is not too much to expect. If a senior staff member made arrangements to be there, then I must believe arrangements for timely notification could have been made. Chris Walton, who should know, says that it doesn't seem to be true that Terasa Cooley was arrested. So bracket that fact as "maybe true; maybe false" until I find out for sure. Either way, my point still stands; the national movement against police killings will not conform to our expectations about organizing, timing, leadership. UU's will have to develop new nimbleness to participate. We've been behind the curve, on the devastation inflicted on black people by the War on Drugs and police thuggery, for quite a long time now. The contrast between the terrific work of UUs (including the church of which I am a member)on immigration (don't get me wrong, I support this essential work 1000%) and our very late, very tentative response (including the church of which I am a member)to the long-running crisis of insane black incarceration rates and rampant police brutality against black people is pretty disturbing. And we wonder why our congregations are so white? I can tell you from direct knowledge that Terasa Cooley was NOT arrested. As far as I know, no UU was arrested (although there were some that came from out-of-town with that specifically on their mind). This summer has been particularly gruesome when it comes to African-American male/law enforcement interaction. Starting almost in UUA Headquarters backyard--NYC is not that far from Boston--on July 17th, there have been ample opportunities for "official" Unitarian Universalism to say/do/act. And yet...nothing. I don't know why I keep hoping for something that's just never going to happen. I know that the request for a national call happened. I know who did it. And I know it was completely ignored. OTOH, MidAmerica Regional leadership has been trying to take up the slack. There's a local area minister's meeting tomorrow. I'm sure that this will be the biggest part of the conversation. Thanks for the info, Kim. Keep on pushing. I appreciate all of us grappling with what an institutional response to injustice should do and be. Tom is pointing to a concept that we at the UUA are trying to live into: being a node of a network, not a top down hierarchy. This is not only because we are 'under-resourced' but because it is far more direct and impactful, especially given new technologies, to have a local group issue the invitation (which we did communicate through an invitation on the Standing on the Side of Love site). The issue of racial atrocities and police brutality is indeed real everywhere, which is part of why I attended the action on Monday (I did not actually get arrested) and it deserves a national spotlight, which we could always do better in applying. We were able to respond more robustly to the national calls for action with the Climate March and Moral Monday March in North Carolina given the amount of lead time and support other organizations provided. When lead time is shorter we try to use our networking platforms for local groups to mobilize participation. Our response is never perfect and we appreciate feedback on how we can do better. I went to Ferguson out of both personal conviction and to represent the leadership of the UUA who care desperately about what is happening in our country. I am glad so many are asking deep questions about how to respond. Tom, we are working on a response for when the grand jury announces its decision, which is extremely unlikely to be an indictment. When that is announced, all hell is going to break loose here. We want the UUs to be ready, and we are trying to be. The nature of the beast here, like many social justice situations, is that we will get extremely short notice. 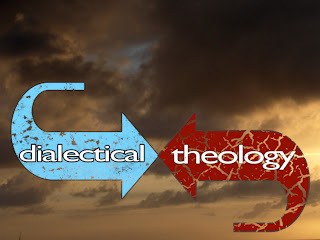 This is why the local clergy here are joining forces with the UUA and ministers across the country to make some contingency plans.And we would appreciate your help as well as critique. The short notice is indeed a major factor for why more clergy weren't at Ferguson October. If there's a call for us to go down after the decision if it's not indictment, we need to communicate that idea now, even if we don't know the date until it happens. On happy subjects, many of us are planning "Decision Day" plans for marriage equality, even without knowing the date. And I know our MO colleagues are planning for "Decision Day" on the Michael Brown case. Barbara Gadon -- please let us know what plans are in the works, what's being asked of us, etc. I'm betting Tom won't mind my saying we can use social media resources at our disposal here to help spread the word. I know that the press is saying the decision may come mid-November. The MidAmerica Board is meeting Nov. 14-16 -- boards have adjourned and moved to social justice sites before, and I would think it could happen again. And Ohio River Group is meeting Nov. 9-13 in Dayton, the theme, coincidentally, "Race." I'm wondering if there's something we can do from there to be in solidarity with you. You've hit on the problem: our congregations barely talk to one another. Our relation to each other is most often thru intermediaries, be it the UUA or district/regions. And this is where our districts already failed and our regions fail harder, because there's less people doing the work of connecting people to one another. As a longtime UU, I am somewhat saddened by the lack of critical thinking and the knee-jerk response to this incident. We were once a community that prided itself on THINKING above all. Other than the chalice, the UU symbol was most often the question mark, reminding us to look at all sides of an issue, and not just react with emotion. In the wake of Mike Brown, which may or may not have been racially motivated (I am leaning with not), we are now witnessing people clamoring to defend another young man who should have been home under house arrest, who fired a weapon three times at an officer, before he was killed by return fire. Is it now our contention as UUs that police no longer should return fire when fired upon? Should they not be patrolling neighborhoods where people who live are fearful of criminal activity? One thing my former minister used to say--it is a good thing to be open minded, but not so open minded that our brains fall out! Could it possibly be that the lack of UU response to these incidents is that many of us UUs realize that some of these battles are now being chosen unwisely? That we are all for moving forward and repairing the deep rifts in our communities, but that we know this cannot be done by vilifying police and vilifying the communities who hire them for protection and ignoring the dangerous conditions in our city? If both sides cannot be heard out and discuss their differences in a atmosphere of acceptance for BOTH points of view, then we will never move forward. We will continue with the same stagnation I have seen in my entire lifetime. I'd like to think that UUs are the people who would be very good at enabling this sort of discourse...by leading both sides to find equitable win-win solutions, instead of contributing to further marginalization and separation. Anonymous: It does not surprise me that there are 'long-time UU's" who take a pro-police attitude in response to the movement against the killings of people of color. However, the information is out there readily available that is persuasive that that the criminal justice system criminalizes people of color, as a system. The police killing of individuals is a part of that over all system. Michelle Alexander's "The New Jim Crow" comes to mind. Unitarian Universalism has committed itself to becoming an anti-racist, anti-oppressive religious movement. That's a theological commitment undertaken as the result of some serious observation of human society, particularly here in the US. It's a statement about human nature and the human possibilities. It's a statement about the what is possible given the fundamental nature of the Universe, even of God. Of course, it is your right to be undecided about those questions -- to view the police killing of a person of color every 28 hours as not representing a pattern. It's a sign of "uncritical thinking and knee-jerk response" to accept the official explanation for all those events. But that is your right, of course. But if it makes uncomfortable as a UU to see that other UU's have done their critical thinking and come to the conclusion that people of color have a more realistic grasp of the situation than we do, then that's the way it is. As to our stagnation, lots of people propose many causes for it. If you read my blog through you can see how I see it. I was there, with one member of the Congregation I serve. I rearranged a lot of things to make it happen, but thought it worth it to be there...I couldn't NOT be there. Truth be told, I was disappointed (stunned, actually) at the lean UU presence. The leadership -- the young leadership -- emerging at the events discomforted those of us who may prefer "talking" about things, calling to mind Martin Luther King's words about white moderates being the biggest impediment to advances in civil rights because they wanted an "orderly" resistance and transformation...this work is not orderly, it is messy, it is real, it is necessary. 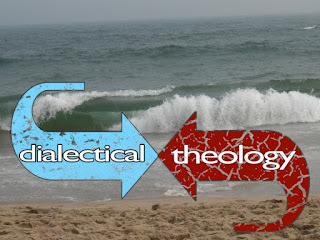 One of the chants from the weekend: "Tell me what theology looks like, THIS is what theology looks like." Certainly not everyone can make last minute arrangements (a luxury, I know) and not everyone can afford to take off for a 4-day demonstration (a luxury, I know); but to take our faith seriously means to engage, and to engage means to do more than talk. I am reminded of the t-shirt worn by Rev. Wayne Arnason at our recent OMD-UUMA gathering, "We can pretend to care. We can't pretend to show up." Carmen, I am sorry I didn't have a chance to talk with you. I'm so glad you came. All total, there were 10 of us there, including seminarians and lay folks. Not huge, but who had a huge presence there? I was impressed with the Jewish turn-out, and there were a lot of UCC folk - not hard, though, when you have a major seminary that close by. St. Louis clergy are working with interfaith groups, plus some of our national colleagues on a strategy for responding to the grand jury announcement. Let's work together!